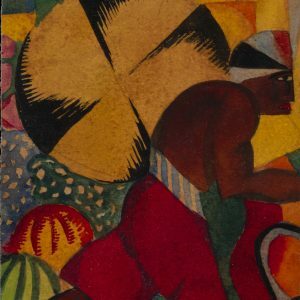 First recorded as a precocious teenager in Kharkov, studying at the Steinberg art studio – where attention focused on Gauguin, Van Gogh and Cézanne – and meeting Velimir Khlebnikov. 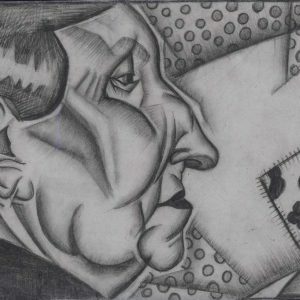 He then moved to Kiev, where Exter and Adolf Milman (a former member of the Jack Of Diamonds) fostered his interest in Cubism. Helped Tyshler, Shifrin and Petritsky with designs for Kiev’s 1919 May Day celebrations before working as an actor in Kiev and Sevastopol. After the Civil War relocated to Moscow to study under Meyerhold, issuing a manifesto entitled Eccentricity and launching the theoretical platform FEKS (‘Factory of the Eccentric Actor’). In 1926 launched his own ‘cinema collective’ and, from 1928-38, was head of the first cinema workshop at Lenfilm. 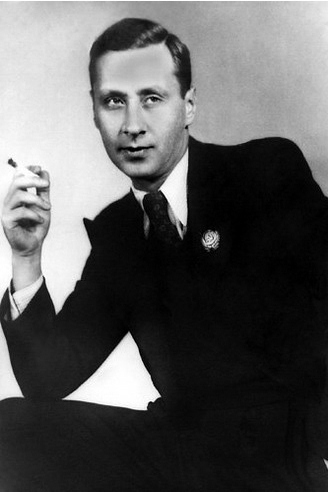 From 1939-46 directed the Song & Dance Ensemble of the NKVD (future KGB), before resuming his career in cinema to stunning effect – twice earning the Best Director award at the Cannes Film Festival (for Othello in 1956 and Lenin in Poland in 1966). One of his last films was the animated cartoon classic Mayakovsky Laughs in 1975.